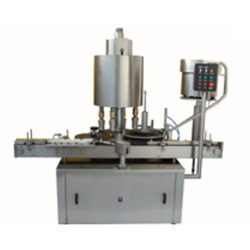 Automatic Multi Head Screw cap sealing machine is versatile, self-supported on stainless steel leg with height adjustable adjustment system. 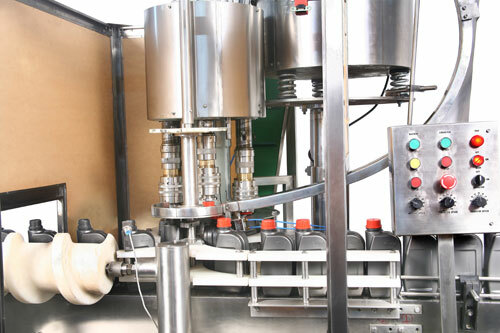 The machine is precision built on sturdy welded steel frame completely enclose in stainless steel sheet and doors are provided to facilitate the servicing of machine. Single motor synchronizes conveyor, star wheel. No. of Sealing Head :- 4 Nos. Main Motor:- 1 HP / 415 Volts / 50 Hz.